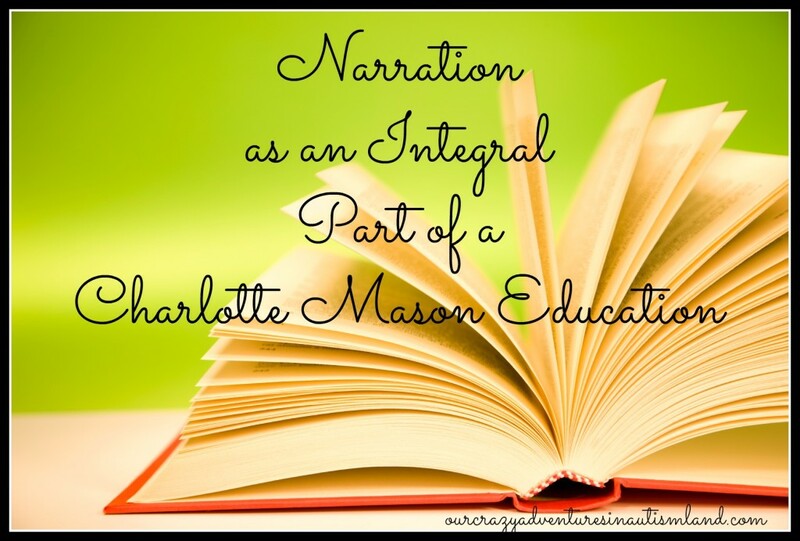 Narration is an integral part of a Charlotte Mason education. Narration is the ability to tell back a story’s main points after either reading it to themselves or having it read to them. Both children are now able to do it extremely well . As a matter of fact, they do it effortlessly. 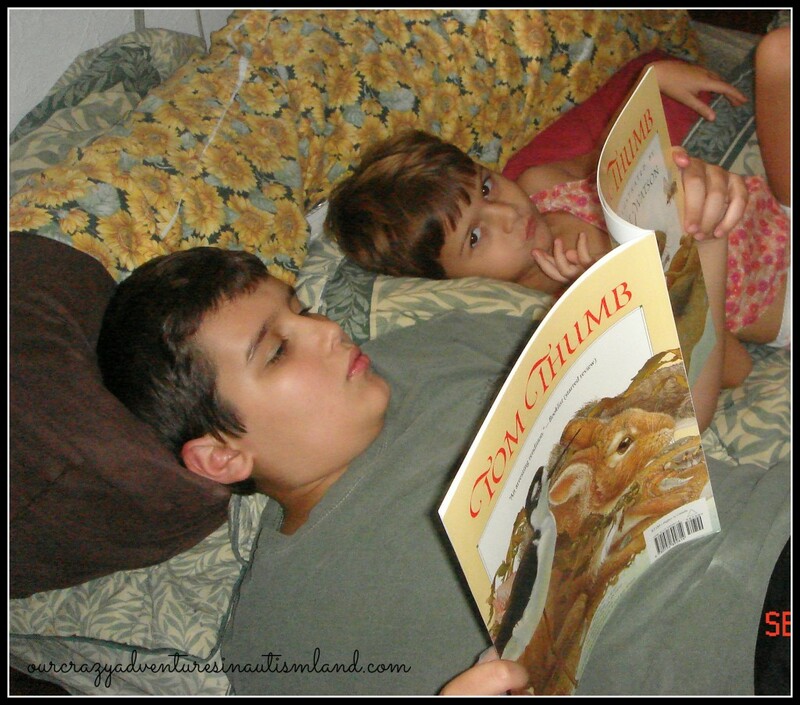 After Logan reads to Madison, he will patiently wait for her to narrate before he would reads another chapter or story. He has always done this since she was learning to read . It’s super cute. There are three levels to narration: oral, picture and written. There is no time limit for each level either. The child moves up to the next level when he masters the previous one. There are certain things to look for like can he do it easily, does he get it right usually, or can he maintain focus for at least a chapter or more. Start by reading one or two sentences then have the child tell you what they heard. As they get good at that, you gradually increase the amount being read to a paragraph, a page then a chapter. Regardless of what they are narrating, the passage is only read once. This helps them foster the habit of focus and attention to detail. You begin oral narration by asking them to simply tell you the story back in their own words. No writing. Everything is done orally. You would start this with your kindergartner ideally. I did it this way with Madison since she has always been homeschooled using this method. Logan and JoJo not so much. Logan was a bit easier in that after taking 2 years off from academics, he was basically starting alongside Madison in writing and reading comprehension. At that point, even though he was technically 10 years old and in 4th grade chronologically, he started where he was developmentally which was kindergarten. The difference being that I didn’t have to teach him to read at the same time. Regardless, we always pick the developmental age over the chronological one. He made faster progress in the reading comprehension than Madison. For him, we were simply filling in gaps. For her, she was learning the process for the first time. JoJo was a little different in that he came directly out of public school in the age of teaching to the test. He didn’t know how to think for himself at all. Narration was really hard for him. For one, he wasn’t used to listening intently the first time . He was used to teachers repeating themselves. Two, he was used to being given the answers to regurgitate back to the teacher. He didn’t understand the concept of reading for information. His progress was slow to say the least. With him, like Logan, we had to take him where he was developmentally which was at the beginning and slower than I would have liked. For this narration, you have the child draw a picture of the story. It is the natural progression from oral to written. In picture narration, there is less pressure to get the words or sequence right. I simply had them draw out a scene that they liked. They would often orally narrate as they drew so I was sure that understood. As with oral, it is only read by them or out loud by me once. We are still refining the habit of attention. Madison is a natural artist who would draw all day if I let her. Picture narration was a breeze for her. She added far more detail than necessary in her drawings. I would have to gently remind her at time that it shouldn't be an all day affair . Logan only draws what's necessary . He doesn't color it in like Madison or shade it to look correct. He draws it simply. Both are correct. It was hard to get JoJo to grasp this concept. He would hurriedly draw something that he remembered with very little detail. This wasn't a processing issue like Logan. This was working on the habit of taking pride in our work. Never accept less than the best work from your children. The pinnacle of a Charlotte Mason education is written narration. 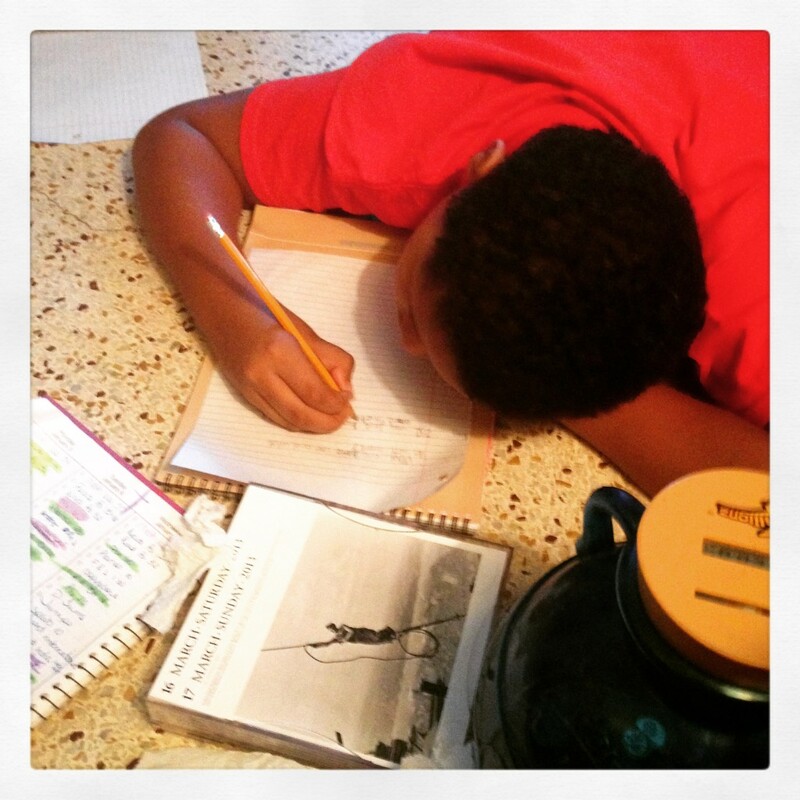 As you enter the middle school years, you start to expect them to write about the story. It starts with a sentence or two culminating with entire papers in the final high school years. The key here is that this is not the time to work on writing fundamentals. Don't correct these narrations. Use them as reference for what to select for copywork and dictation. Within those focus on common misspellings, missed punctuation, etc. However once they have been doing them for at least a year, have them select one or two a term at first, building to monthly in upper years, to spruce up and edit to teach those skills. For beginning students don't even look at their narration until after they have read it out loud to you first. This helps the focus to be on putting their words to paper first and foremost since that is goal number one. That is the bulk of their learning for that reading. It also helps them pick up on errors before you see it. Since I have an artsy girl and a visual learner boy, I started with asking them to do a picture narration along with a sentence to go with it. As they started to feel more competent in that, I gradually withdrew the picture part to just a paragraph. They still do a picture with sentences in their nature journals. 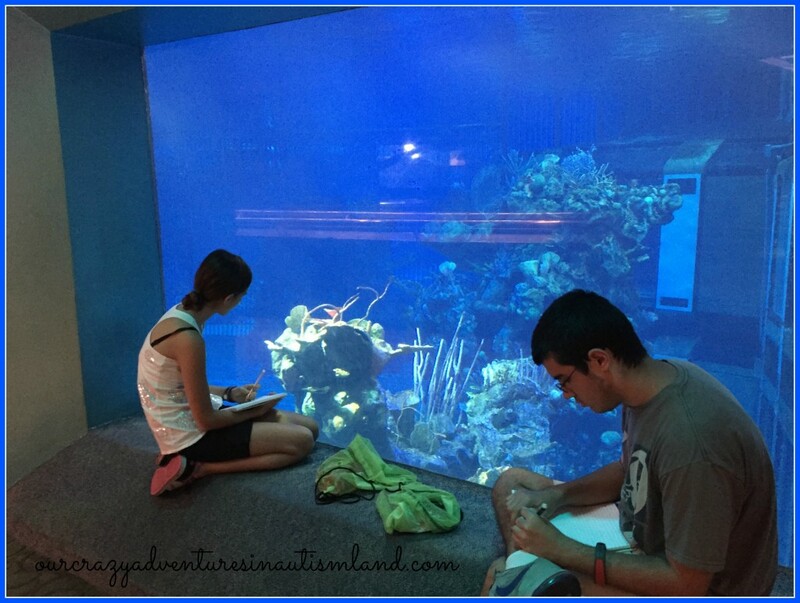 It helps Logan work on right brain processing while allowing Madison to express her creativity. Both kids are left handed making that the strongest side of the brain. We have long speculated though that Madison mimicked her older brother when learning which hand to use for eating and writing. Don't rush to this level before your child is ready. What you will get is a child who stares at the paper intimidated by it. This makes him unable to come up with a paragraph or even a few sentences. They become overwhelmed by the blankness of the paper. Couple of things to remember here. Not all readings need a written or even oral narration. I like to pick and choose which ones I require them on as to keep the children guessing when doing their readings. They point isn't to bog them down with work. It is to gauge whether they are understanding the readings. Never assign work just for work sake. That defeats the purpose and will kill the love of learning fast. Want more narration ideas? Follow my Pinterest board, Homeschool Narrations, for inspiration! How wonderful! I’m sure your children will have fun looking back at their picture narrations when they are older as well. Thanks! 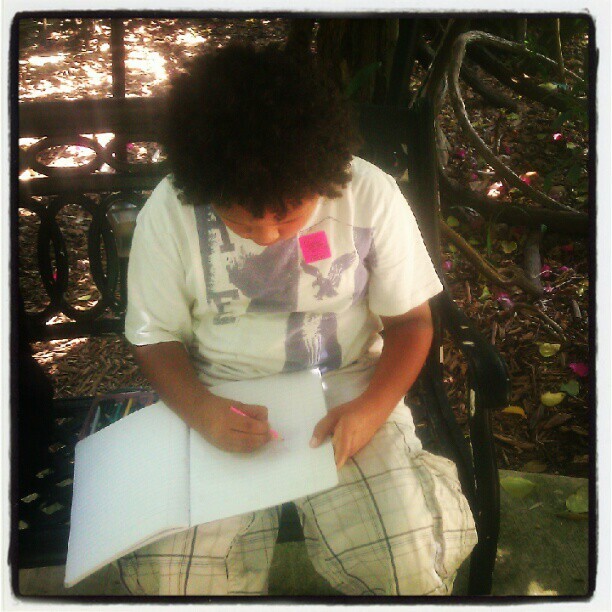 I am putting them in their notebooks and I know that they will enjoy them as much as I do. We did the same…I used to have the kids illustrate as I read aloud, and then when I finished, they would write a few short sentences. We are presently doing more oral narration. I love everything about this article. You capture narration perfectly. I will definitely be sharing this when people ask me about narration. We have been using narration for awhile, but your post made me feel like it is a really, rock’n, great idea! I love big brother reading to little sister then having her narrate. I am going to start implementing that with big and little sisters here (I have all girls).